To make the maple cream cheese icing, place the cream cheese, icing sugar and maple syrup in a food processor and process until smooth. Refrigerate until needed. Preheat oven to 160°C (325°F). Place the butter, sugar and vanilla in an electric mixer and beat for 8–10 minutes or until pale and creamy. Scrape down the sides of the bowl. Gradually add the eggs and beat well to combine. Add the banana, dates, flour, baking powder, bicarbonate of soda, cinnamon and maple syrup and stir to combine. Spoon the mixture into a 26cm x 11cm (2.5 litre-capacity) lightly greased loaf tin lined with baking paper. Bake for 65–70 minutes or until cooked when tested with a skewer. Cool in the tin for 20 minutes before turning out onto a wire rack to cool completely. Using a palette knife, spread the bread with the icing. Refrigerate for 30 minutes or until the icing is set. Slice to serve. Serves 6–8. 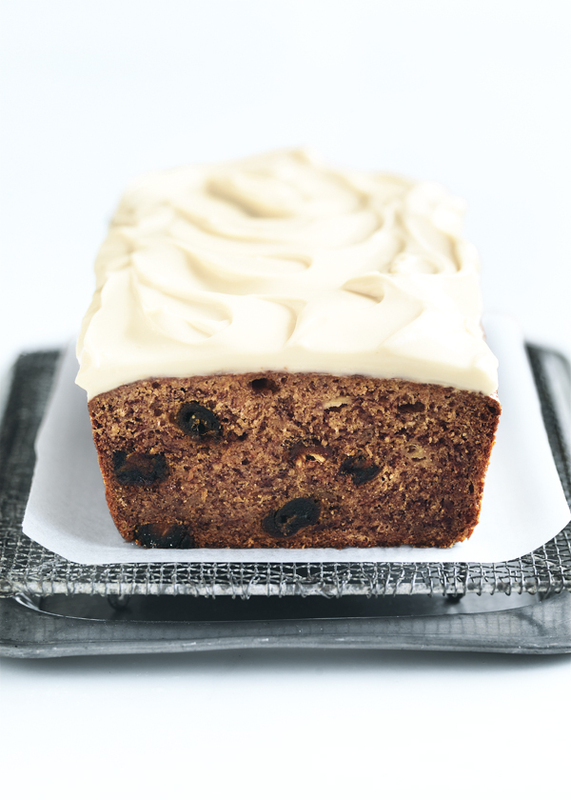 Love this banana bread recipe, one of Donna’s finest, but I’m struggling to make the maple cream cheese icing - it always ends up really runny. Has anyone else had problems? I wondered if it could be related to the cream cheese we have in the UK?